Tim New is Emeritus Professor in Zoology at La Trobe University , Melbourne. His entomological interests include many aspects of systematics, ecology and conservation, and he is acknowledged as one of the leading advocates for insect conservation. He has published widely in this field, and has travelled widely to look at insects and talk about them in many parts of the world. Sampling and surveying beetles for conservation. Evaluating conservation status and significance. 2 Practical Conservation: Basic Approaches and Considerations. Population structure and beetle dispersal. 3 Threats to Beetles: the Role of Habitat. Habitats and resources in the landscape. Remnant habitat values: brownfield sites. Effects and interactions with native beetles and other organisms. 6 Pollution and Climate Change. 7 Components of Beetle Species Conservation: Ex Situ Conservation. 8 Threats or Management: the Conservation Manager’s Dilemma. 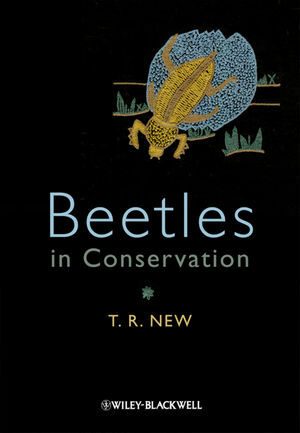 9 Conservation Lessons from Beetles. Ground beetles and tiger beetles.